Fresh and white 2018 Spanish style home in the private gated community of Belcara, located between Cherry Creek and Belcaro. 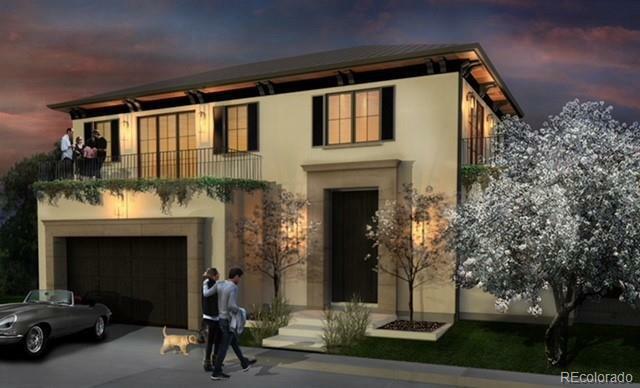 Designed by Alvarez Morris Architectural Studio, this home is a sophisticated mix of modern and traditional. Gorgeous detailed paneling inspired by a vintage Parisian apartment. Modern black and white kitchen with Wolf and Sub-Zero appliances is stunning. 23 foot glass doors open to a pretty outdoor courtyard and covered stone patio with fireplace and fountain. Magnificent master bedroom suite, Waterworks fixtures, chevron patterned white oak floors, thoughtfully selected marble and stone, architectural steel doors, wine cellar and elevator. Black clay tile roof and attached garage. A cosmopolitan blend of materials make this home an easy lock-and leave option in the heart of Denver.